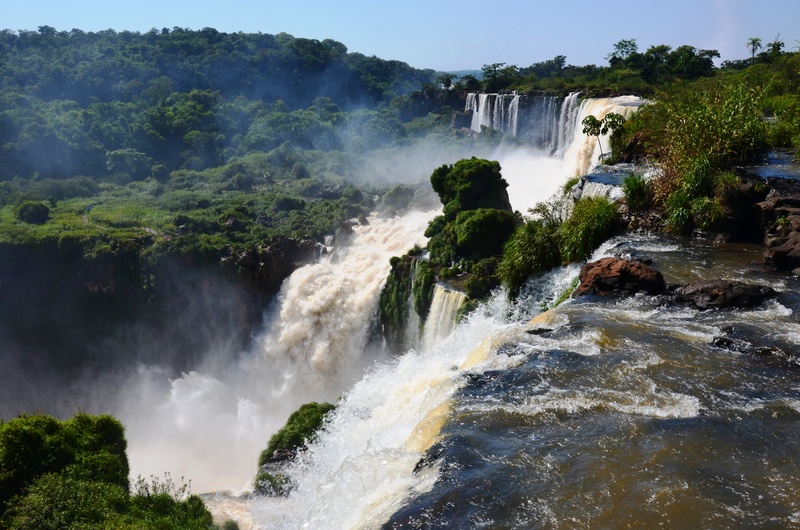 The Inspiring Iguazu Falls – Which side is better, Brazil or Argentina? – Why Waste Annual Leave? When we made a decision to venture to South America for the first time this year, debate number one was whether to go to Brazil and Argentina or alternatively, whether to head to Peru and Bolivia. With only two weeks at our disposal, choices had to be made. And after plenty of friendly-bantered marital “discussion”, we ultimately opted for the former. Debate number two was about how to divide up our time. 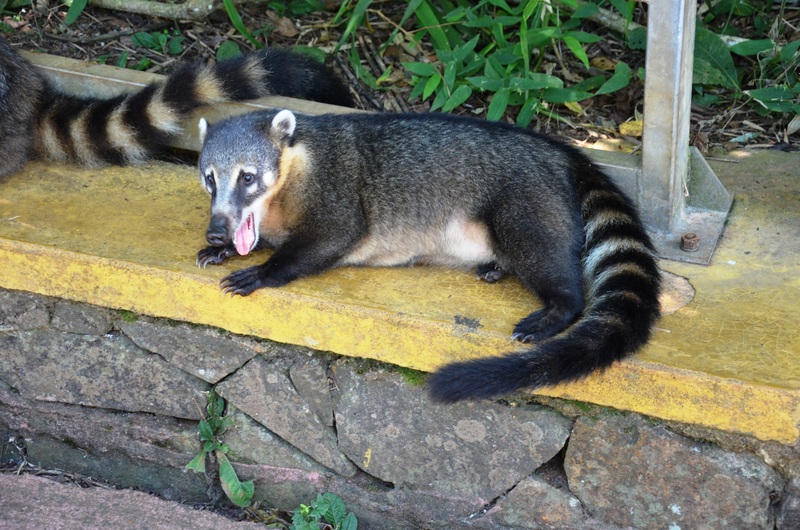 Do we head to the Brazilian Amazon, Sao Paolo and Rio? Do we explore Patagonia and its phenomenal glacier. 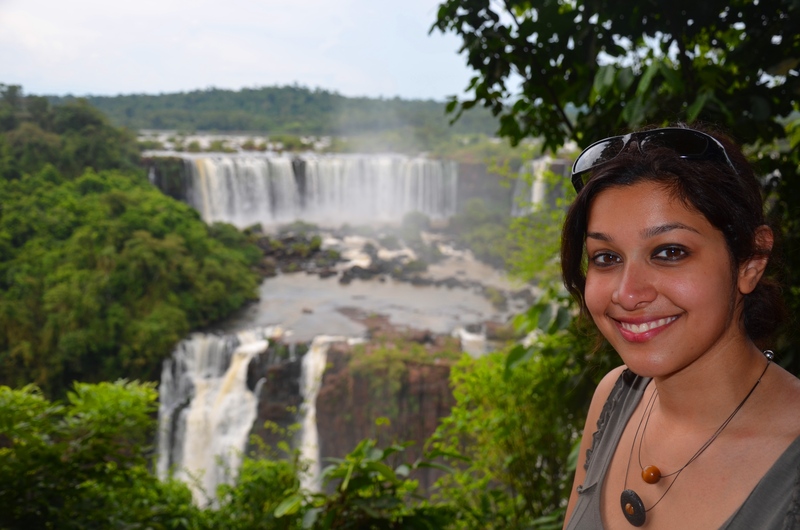 In Pumpkin’s mind though, the one question that needed no asking was “do we visit the Iguazu falls?” Of course we do. 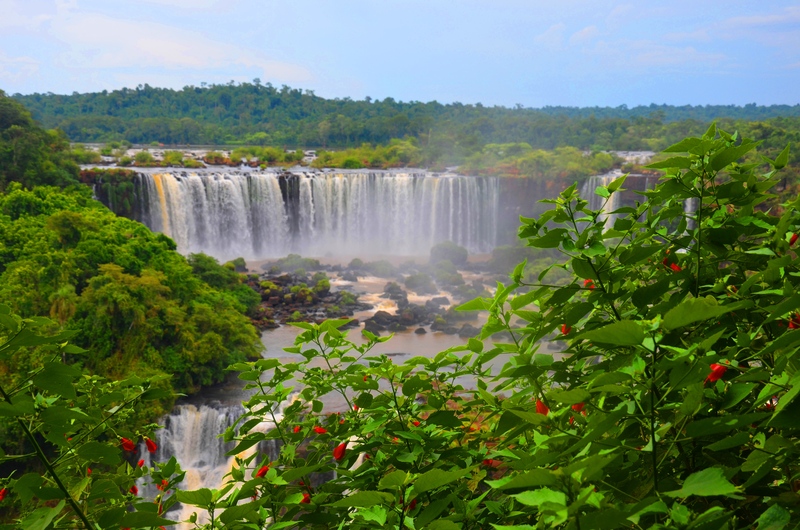 It’s a no brainer – who in their right mind travels to Argentina /Brazil without seeing the falls? Oh, what an ignoramus I was. And how special this “bunch of waterfalls” truly was. I had no words to describe the breathtakingly beautiful and ferocious falls we witnessed on those two days. “Wow” is really more a noise expressed by those of us too stumped to be able to wire up the connections in our brain responsible for formulating words but it was all I could muster up, so overwhelmed was I by the views. This is an immersion in a world of waterfalls. Their vigour pounds the ground beneath you, an assault to your senses with sounds both soothing and alarming all in one, the vapour in the air moist on your skin, heavy on your chest. The falls hijack your vision from above, from below, from left to right. Everywhere, waterfalls. And what’s left is a you feeling so small, so astounded and so vulnerable. 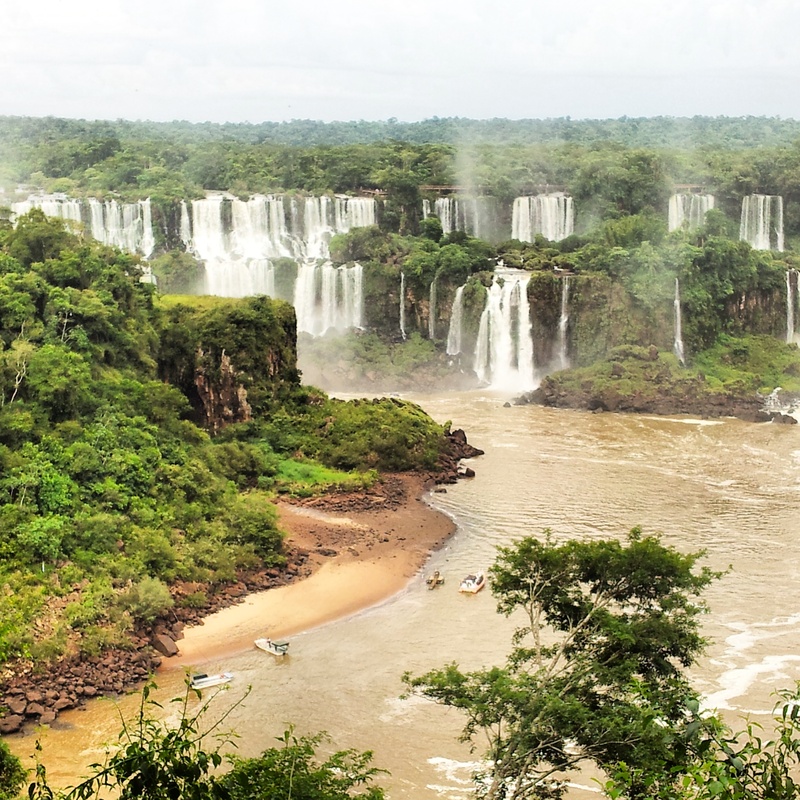 The differences between visiting the Iguazu Falls from Brazil vs Argentina? As you’ve probably gathered, decision-making is not our strong point – so we did both, spending one day on the Argentinian side and one day on the Brazilian side. There were a few key differences I noticed and I’ll get the more boring ones out the way first. On the Brazilian side, the facilities seemed a little more polished. Signs were more clearly displayed in different languages, bathrooms cleaner and there is a little bus at the entrance that you can board which will take you into the thick of the jungle. Regarding the waterfalls though, the distinction was all in the vistas and panoramas. The walkways on the Argentinian side afford you the close ups, the chance to stand face on, one on one with solitary waterfalls, to view their magnificently forceful blankets of grey water, particularly at the wild and infinite Devil’s Throat, a spectacular 150m wide emptying where half the river flow ends up with an emetogenic core, spewing out muddy debris in its gallons. 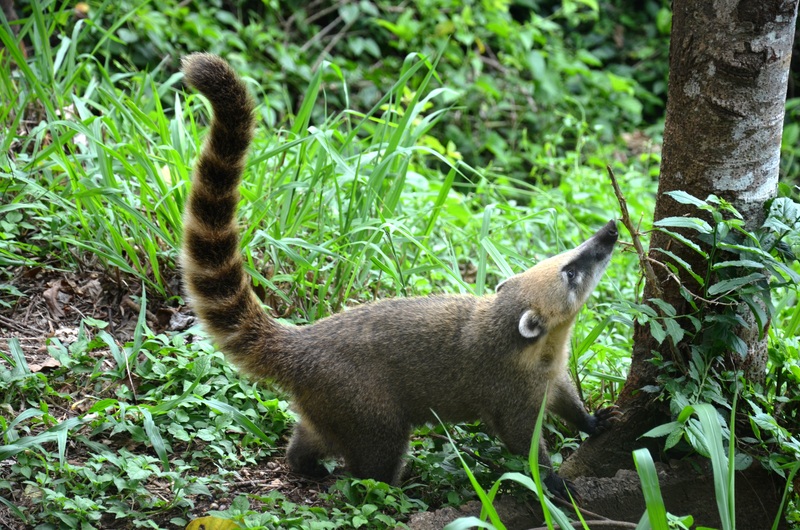 In Brazil, we saw beautiful panoramas –this is the stuff of wide angle lenses and postcard-perfect paintings. 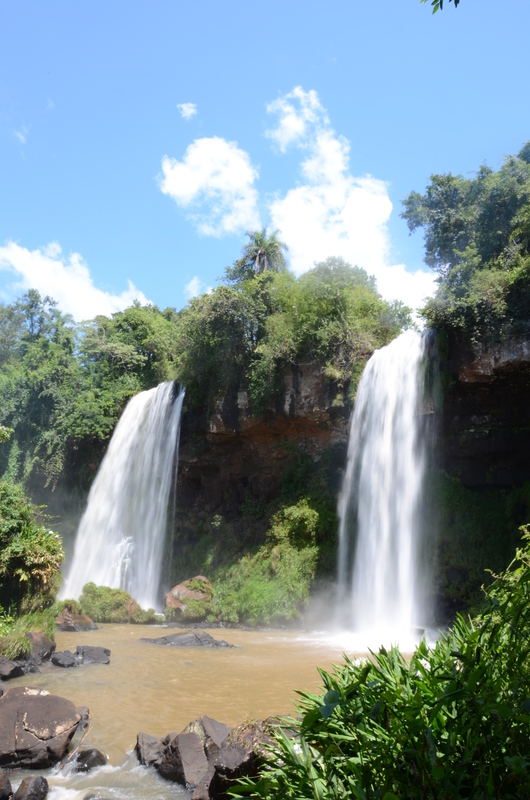 It is in Brazil, where you can stand at one given point and see hundreds of waterfalls gushing down like stalactites in an invisible cave , resurrecting with gusto. Viewing the falls independently or with a guide? We had a guide on both days but it is straightforward enough to see the falls yourselves with the walking trails clearly marked and maps a-plenty in the parks. 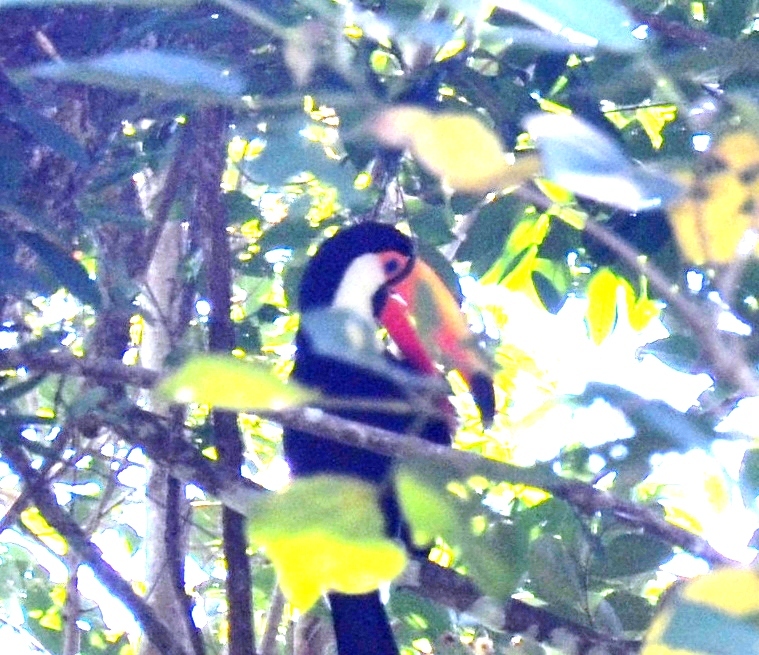 Our guide, however, proved invaluable with her beady eyes, which could see ahead for miles, spotting racoons, turtles, wild butterflies, tropical birds and even a toucan. Mostly though, it was that sense of perspective that I left with, of realising how much beauty exists in the world.If like me, you have ever wondered whether these falls really live up to expectations, all I can say is that the hype exists for a reason and you will not be left disappointed. Either embrace getting wet or bring waterproofs with you. Bring cash if you want the professional photos taken – we didn’t bother but they were selling like hotcakes on the Brazilian side. Cafes and restaurants are available so you don’t need to carry a packed lunch with you but do always ensure you have a bottle of water in hand. On both sides of the falls, there are opportunities to do boat safaris (usually with additional charge), which takes you up close to the foot of some of the waterfalls. We didn’t partake in this but it looked thrilling and you will get utterly splashed! Looks pretty darn impressive from all sides! Beautifully captured, and great tips too! Thanks so much for the kind comment Jess! I think you’re right – it’s so beautiful wherever you are seeing it from so that’s not a huge issue really! This is an amazing write up of this obviously spectacular place. Thank you. 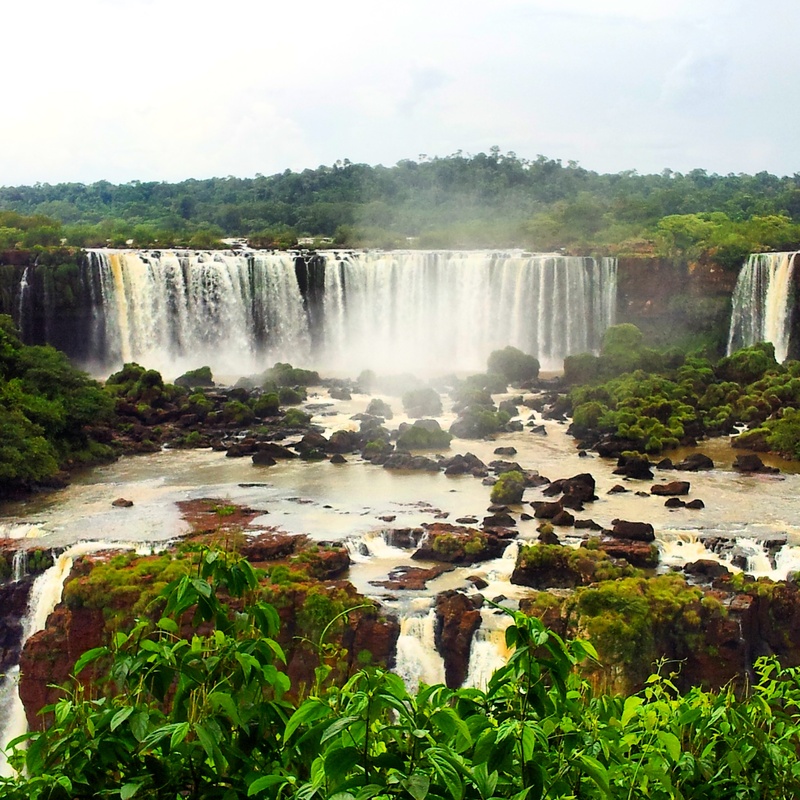 I’m planning on South America in 2016 and the falls are definitely on my list. Great post! I only got to the Argentina side when I went, but wish I had been able to go to the Brazilian side to compare the two. Oh man, we didn’t go when we visited Argentina (mainly because D has to work so we weren’t sure if we could get away for a few days and we didn’t know how the internet connection would be out there) but I definitely kinda regret it. It looks so magnificent. 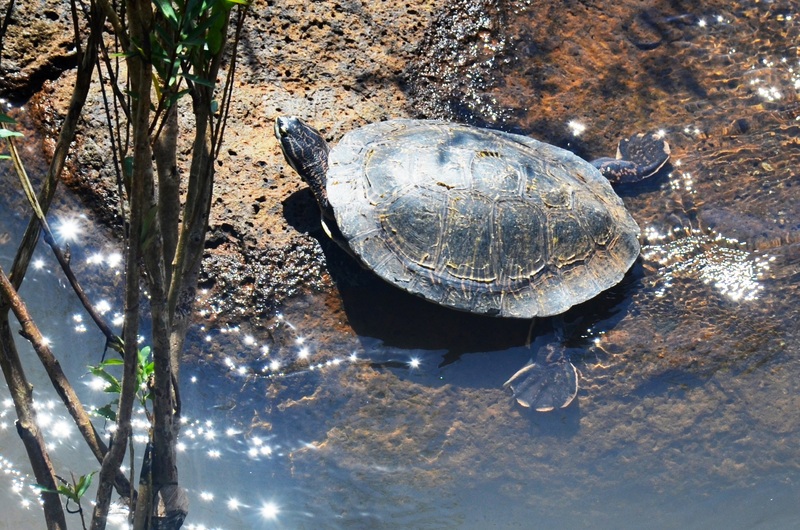 Getting a guide seems like the correct choice or else you would have missed the wildlife! I’ll keep that in mind for when we’re in that part of the world again! Knowing your passion for travel Anna, I have this funny feeling you’ll be back in South America again one day so hopefully you can make it next time. Some of the guides are just amazing at spotting animals from miles away (or maybe I just need new glasses!) Thanks so much for reading! Those pictures are spectacular!! Great comparison as well! And it seems that seeing the water falls from both sides gave you a different perspective of them. And you guys are not the only ones that are indecisive when it comes to decision making – my husband and I are as well. And sometimes when we cant decide, we will do both as well, just in case we miss out on something! 🙂 Have a great weekend! Awww thanks Constance – so glad you liked the photos 🙂 I’m relieved to hear you guys sometimes struggle with making decisions on your travels too – so many amazing things to see and do! Thanks so much for reading and you have a lovely weekend too! Stunning pictures from both sides, but I like the panoramas from the Brazilian side just a little more. 🙂 I’m surprised that it takes a day to get in between the two. I love waterfalls, the most impressive we’ve been to is Niagra Falls. It’s amazing to see that kind of water gushing down! Wow these photos are incredible, it’s on the list but haven’t managed to get there yet! Sounds like a great day out! Love that you experience it from both sides too! I think we’d have found it tough to pick a side and since we had an extra day at our disposal, seemed worthwhile seeing both perspectives – so glad we did 🙂 Thanks for reading Catherine! Great experience and spectacular photos ! Absolutely stunning photos! I’m actually very jealous you got to see it from both countries since this has been hovering at the top of the bucket list for a long time 🙂 What a wonderful experience you had and I love all these practical information and tips. I can’t wait to use them as a reference! Thank you for the kind words! I’d love to see Niagara falls too one day and see the ways in which they compare and contrast to Iguazu. Amazing sights of nature aren’t they? Thanks so much for stopping by! Pingback: Explore The Elements Travel Photo Blogging Competition | Why Waste Annual Leave?